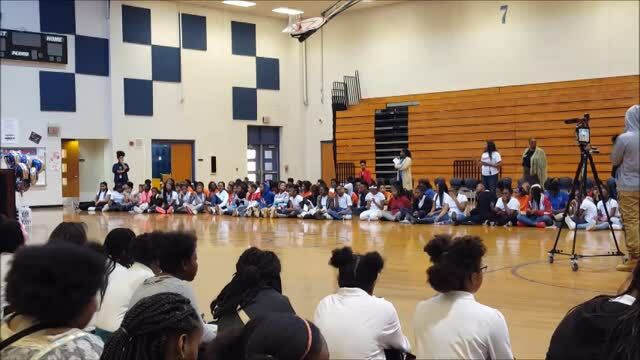 Jeremy Anderson, Motivational Speaker, Joins "Columbia Community"
To watch some of Jeremy's motivational videos visit these links here. Start now preparing your student to take advantage of the Move on When Ready (MOWR) Dual Enrollment program. MOWR provides high school students with an opportunity to earn college credit while still in high school. Preparation begins now. See the attached flyer for more details. Parent and family engagement is critical for the success of students. Dekalb County School District supports the participation of parents in regular, two-way, and meaningful communication involving student academic learning and other school activities. View the attached portable document file (pdf) to see how DCSS assists in supporting parents with the education of their children in accordance with the Every Student Succeeds Act (ESSA). There are now separate Infinite Campus downloads for parents and students. In this update parents are now able to see announcements from the district and the school in the mobile version. The update also allows parents to change the view from portal (desktop) to mobile (looks like the student view/green background). To see current posting, parents and students must uninstall the old app on their mobile device and upload the new version. Please see the attached flyer for more details. Congratulations to the newly elected Principal Advisory Councils across DeKalb County School District! We appreciate your willingness to assume a leadership role in continuous school improvement throughout this school year. Please view the attached uniform letter for the 2018-2019 school year. 6th – White tops and khaki brown, navy blue, black bottoms, or jeans. 7th – Orange tops and khaki brown, navy blue, black bottoms, or jeans. 8th – Navy or royal blue tops and khaki brown, navy blue, black bottoms, or jeans. All shoes must be safe and appropriate for the learning environment. Students may wear their choice of athletic, low-heeled, or flat shoes. Students must wear athletic shoes in all PE classes and/or outdoor activities. Sandals, Crocs, slippers, flip flops, open toe shoes, thong sandals, stilettos and the like are NOT permitted to be worn on campus. The attached Study/Resource Guides are intended to serve as a resource for parents and students. They contain practice questions and learning activities for each content area. The standards identified in the Study/Resource Guides address a sampling of the state-mandated content standards. Dr. Jones Announces CMS 2019-2020 Teacher of the Year at Community on March 25th.